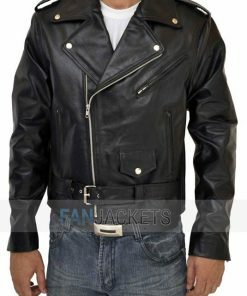 The dressing is a skill, enhance your skill set with this Belted Brown Asymmetrical leather jacket Men. Pursuit using pure leather and soft viscose lining inside to provide the best level of comfort. Featuring adjustment belt at waist with large pockets for great stuff to keep. When I received the package I was thrilled about it looked and fit. But it’s very well made and I know the person getting it will please as I did. Because it fits like a glove, absolutely perfect!